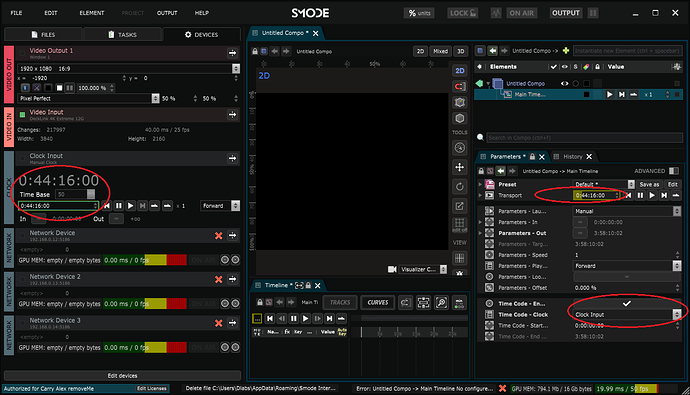 Note that this feature will be deprecated and replaced by new Smode Station 8.3 networking features. You need to choose a computer to automate the Smode Master Global Clock. Note: This feature requiere license for network feature. 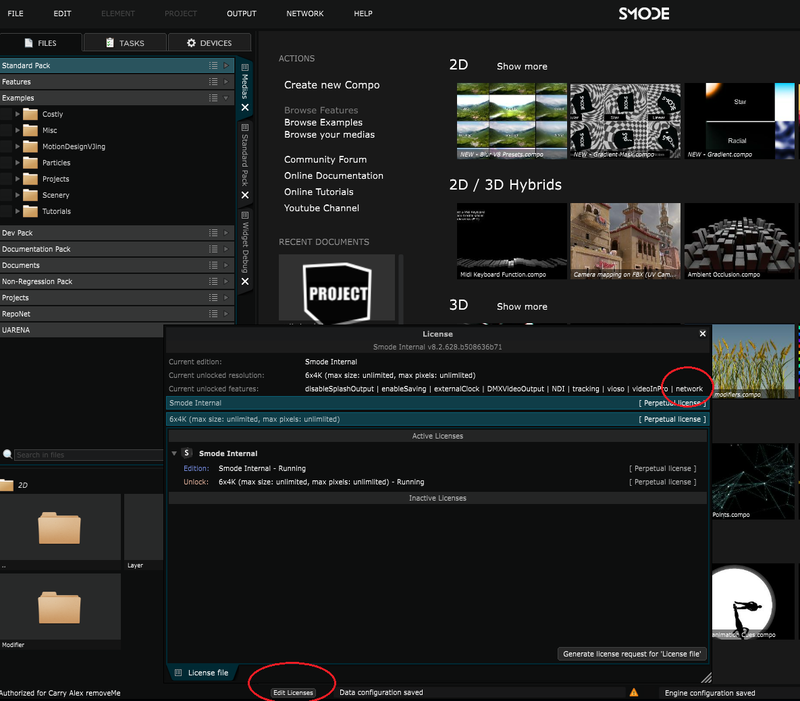 Note: Here each Smode could load a different project. 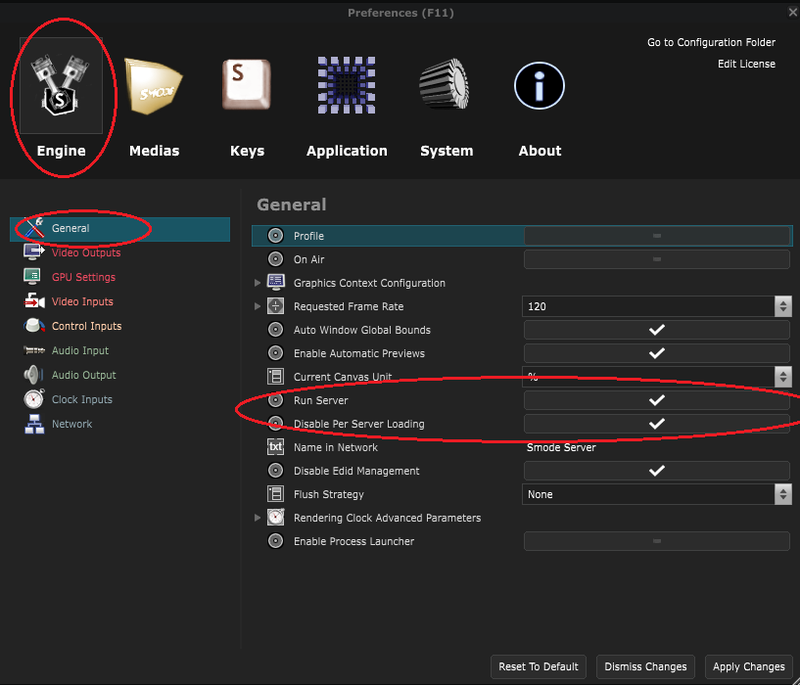 First you need to let all Smode Renderers to Run the Server to be reached over the network. If you are using Smode Station 8.2, also think activate Disable Per Server Loading option. you need to reboot Smode to apply Run Server changes. 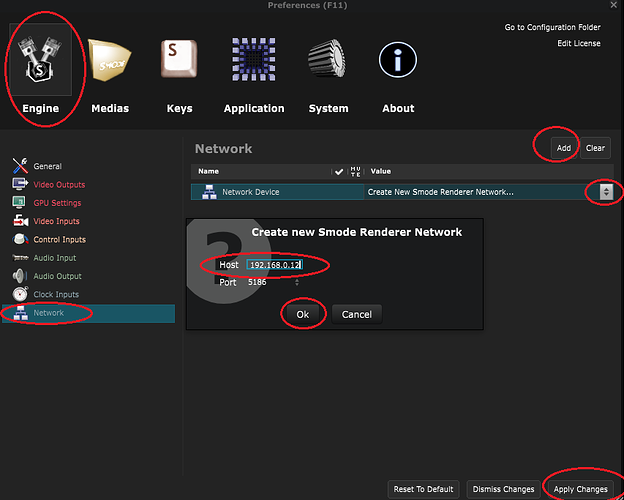 Your firewall should allow Smode to receive packet on the 5186 port. On all Smode Renderer computer, add a new Clock Inputs of type "Network Clock"
Think to use the same name for every clock in the network because clock sharing use name binding. 2) Configure Smode Master Global Clock. Then in the network tab, add a Smode Renderer Network for each Smode Renderers, and put their corresponding Ip address. 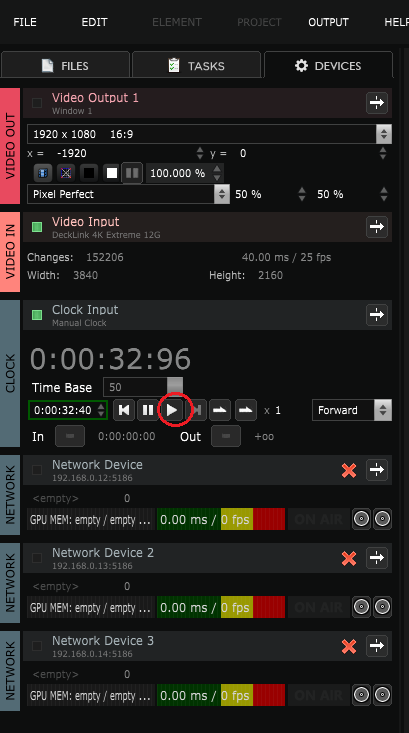 If you play with the manual clock of the Smode Master, all Smode Renderer clock should be animated. 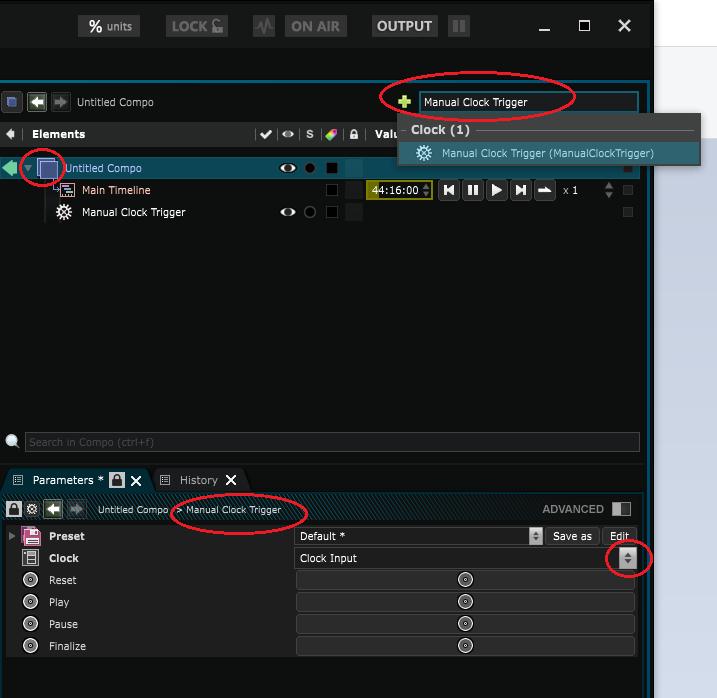 If you need to trig play or pause of your Manual clock device from an external device (Midi, ArtNet or OSC), use the Manual Clock Trigger bridge and link it to your manual clock device. 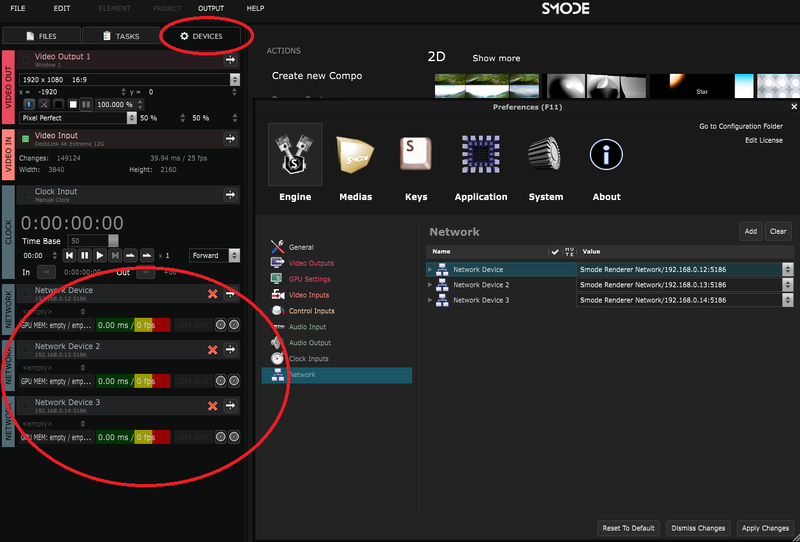 Note that Smode Station 8.2.28 allow the ability to create mutliple manual clock and multiple network clock. 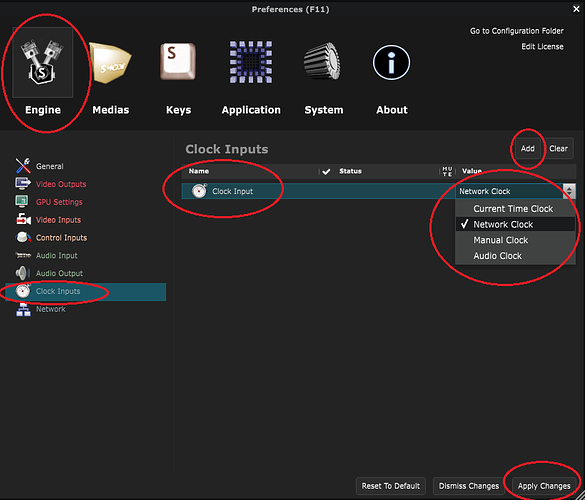 This new feature change the network clock protocol, so all Smode of the network must be updated accordingly.